February 3, 2015. 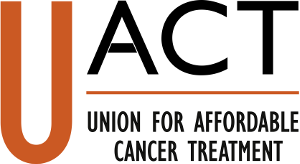 Following the direction of Tufts University President Anthony Monaco, UACT sent a letter to the principal researchers of the study on drug R&D costs, Joseph DiMasi of Tufts University, as well as Henry Grabowski of Duke University and Ronald Hansen of the University of Rochester. The letter to Dr. DiMasi reiterated our concerns about the lack of details about the study data, funding, and applicability to cancer drugs. Dr. DiMasi’s reply will be posted on this page when received by UACT.